Leather Laptop Backpacks are an essential part of the life we are living today. They will help you in carrying all your important stuff during school days, work days, as well as when traveling. One of the best laptop backpacks for women is the S-ZONE Women’s Daily Genuine Leather Casual Backpack Bag. This bag comes with an elegant, simple, and modern look. Constructed using high-quality leather, this backpack gives you long-lasting service that you can depend on for many years to come. Additionally, the lightweight and unique design makes it a beautiful companion for a woman who would feel classy and fashionable. The S- Zone is a well know company, which has been on the market for many years now. It is popular for producing a product that is not only durable but also affordable. 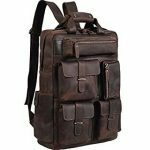 Leather backpacks are one of the most durable and highly performing models. Clients who have purchased these backpacks are pleased on their durability, design, ease of use and performance. Although there are many leather backpacks on the market, not all are constructed using genuine leather. Backpacks constructed with synthetic leather will work well for only a few months then start peeling off. However, S-ZONE Women’s Daily Genuine Leather Casual Backpack Bag is constructed with genuine leather that is built to withstand daily use. 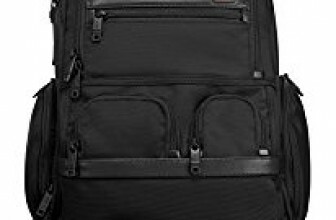 Another impressive feature that comes with this leather laptop backpack is the nylon lining. You can have peace of mind that your stuff will remain dry even if you are caught in the rain. The lining is also tough and withstands repeated use without reaping off. Additionally, this model comes with a sturdy metal frame that allows it to carry heavy stuff easily. This also allows it to retain its shape for long, making it an ideal model for everyday use. The S-ZONE Women’s Casual Backpack Bag comes with a spacious interior that can hold everything you need on a daily base. This includes books, folders, pens, as well as a thirteen-inch laptop. It comes with various outer pockets that can help you carry your phone, water bottle, car keys as well as other smaller items. The multiple compartments make it easy for you to arrange your items with ease. You will also love the durable and adjustable straps that feel comfortable on your shoulders. Although the straps are slightly padded, they will never dig in your shoulders even when carrying heavy items. They feel comfortable even after carrying the backpack for long trips. The straps are also adjustable to fit the needs of individuals with different height. 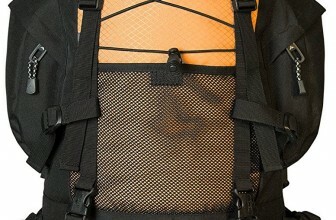 The backpack also comes with a secure snap closure that will keep your items secure. The snap closure also gives the backpack a classy look. 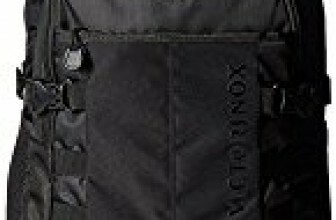 Additionally, the outer pockets are fitted with high durable zips that keep your items secure. You will also love the variety of colors available as you can choose the model that suits your style perfectly. If you are looking for a functional backpack for daily use then the S-ZONE Women’s Daily Genuine Leather Casual Backpack Bag is a great choice. This model comes with an impressive design and is made using durable materials making it a great choice for work, school, and outdoor activities such as hiking. The model comes with a nylon lining that keeps all your stuff protected from water as well as other harsh weather conditions. Additionally, the straps are well made and adjustable to suit the needs of different users. BPJ is a Hiking and Camping lover’s blog where we have tried our best to give a easy snapshot of the Best Backpack Available in the US market based on Price, Best selling and Customer Reviews at Amazon. 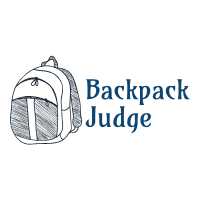 Backpack Judge is a participant in the Amazon Services LLC Associates Program, an affiliate advertising program designed to provide a means for sites to earn advertising fees by advertising and linking to amazon.com. Amazon, the Amazon logo, AmazonSupply, and the AmazonSupply logo are trademarks of Amazon.com, Inc. or its affiliates.